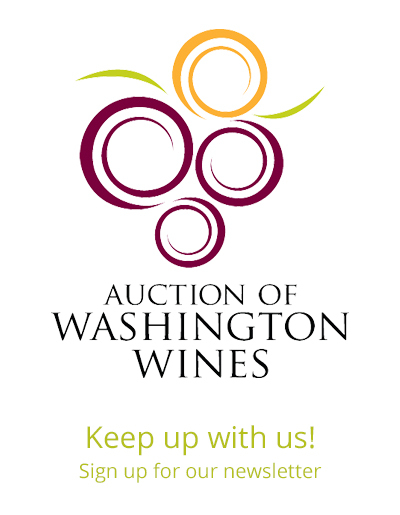 SEATTLE (March 19, 2018) – Today the Auction of Washington Wines (AWW) announced its honorees who exemplify leadership in the industry and who’ve made significant contributions to the Washington wine community. AWW is recognizing Charlie Hoppes of Fidélitas Wines as Honorary Vintner and Marshall Edwards of Quintessence Vineyards as Honorary Grower in 2018. These honorary positions are peer-nominated and reserved for leaders who deeply invest in and positively impact the Washington wine community. Charlie Hoppes fell in love with winemaking while he was working as an engineer. After graduating from the Viticulture and Enology program at University of California Davis, he worked alongside leading winemakers at Chateau Ste. Michelle before launching his own label, Fidélitas, in 2000. Today, Charlie focuses the Fidélitas portfolio on the Red Mountain AVA and handcrafts a variety of Bordeaux-styled red and white wines. The diversity found in the 4,040 acres of the Red Mountain AVA gives Fidélitas all it needs to assemble the wines that reflect the entire region. As of last year, Charlie has completed thirty harvests in Washington and isn’t planning to slow down anytime soon. Marshall Edwards worked at a wheat ranch and didn’t expect to end up in the wine industry, but his farming expertise led him to Chateau Ste. Michelle where he worked for seventeen years. Today, Marshall is the Vineyard Operations Manager at Shaw Vineyards as well as the Manager at Northwest Vineyard Management which oversees Quintessence Vineyards on Red Mountain and Obelisco, a 30-acre vineyard that produces grapes for Doug Long’s Obelisco Estate.